August is a fabulous month in the vegetable garden for many of us. The summer crops are overwhelming us with their productivity (hopefully!) and the crops we sowed last month are coming along beautifully. But August need not be a time only to harvest the midseason crops. You can still plant in August. 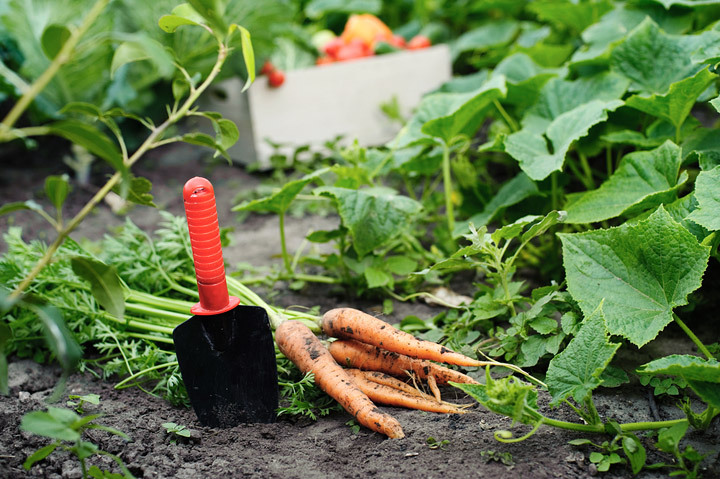 For many northern gardeners, the focus now will be on planting fast-maturing cool season crops that will mature in a few weeks for fall harvest. It is also a time to plan what you will grow for winter gardening, if you happen to a gardener who will extend the season with row tunnels or will be using a greenhouse. Southern gardeners, though they are still dealing with high temperatures in August, can start looking forward to some relief in fall, as well. If all the space in your garden has been planted already, now might be the time to clear out some of the early season crops that have faded to make space for some August plantings. If you do, pay some attention to the nutritional needs of what you are planning to plant–and add soil amendments as needed. Some of the early crops may have depleted the soil of key nutrients, which may need to be replaced before the second round of crops. Or you can defy the heat of August and dig in some new garden space for this round of late summer planting–you will certainly appreciate the additional space next spring. Finally, some gardeners might choose container-friendly vegetables for this round of August planting. Containers have many advantages, such as being able to move them around to take advantage of sunlight patterns that may change as the fall progresses. The lists given below, organized by U.S. region, show which vegetables and herbs you can plant in August. Unless specifically listed as “transplants,” the items in this list can be direct-sown in your garden as seeds this month.